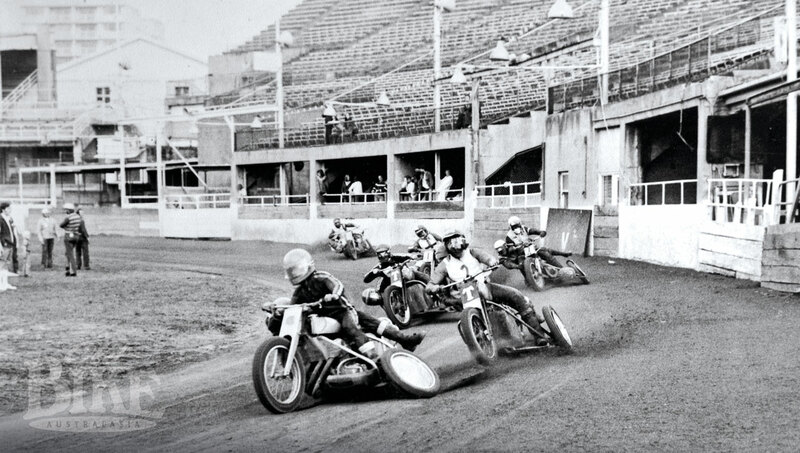 Practice shot from the 1969 Australian Sidecar Championship with six outfits sweeping past the Angus & Martin Stand. 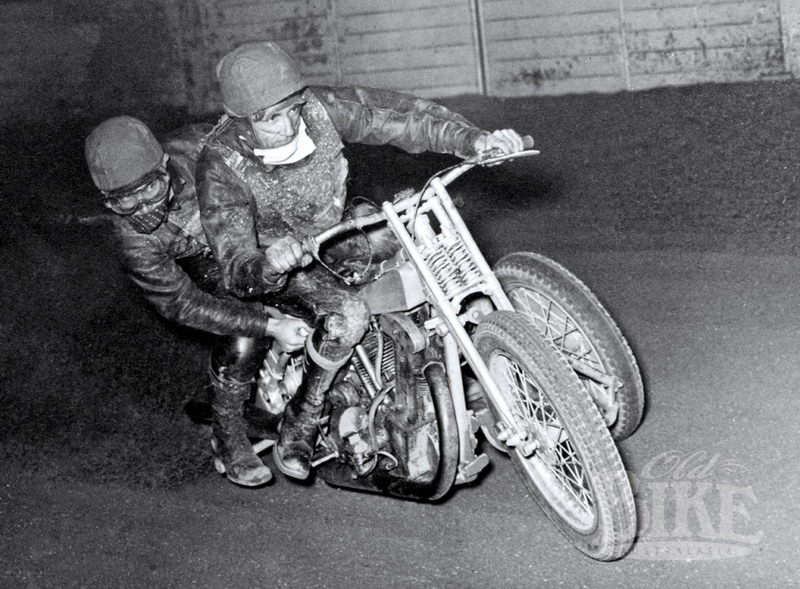 Our Tracks in Time story “Sydney Showground Speedway – The Big Hoop” that appeared in OBA Issue 71 featured photos from Brian Darby’s extensive speedway collection. 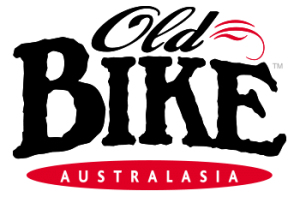 If you’re into the golden eras of Australian speedway, check out Brian’s latest websites, www.justsidecars.homestead.com and www.speedwayroyale.homestead.com. Brian operates numerous sites to do with speedway, so for a full list see www.briandarby.info. 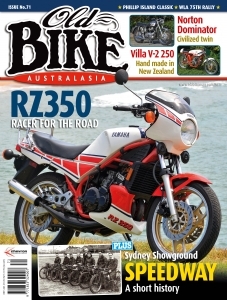 Victorian Keith Ratten moved to Sydney with his outfit – an ex-Brough Superior V-twin JAP engine in a Velocette MSS frame – and became one of the top riders as well as building and leasing bikes to other competitors.